Can you help me to choose a crusher? Question: Can you help me to choose a crusher? Detail: I want about 5mm sand, the raw material is cobble,the capacity is 60TPH, can you help me to choose a crusher? Compared with limestone and bluestone, cobble's hardness is much larger. If you use an ordinary crusher to process cobble, it may cause serious damage, affecting production. Liming Heavy Industry can configure the appropriate production line equipment based on your actual production requirements. 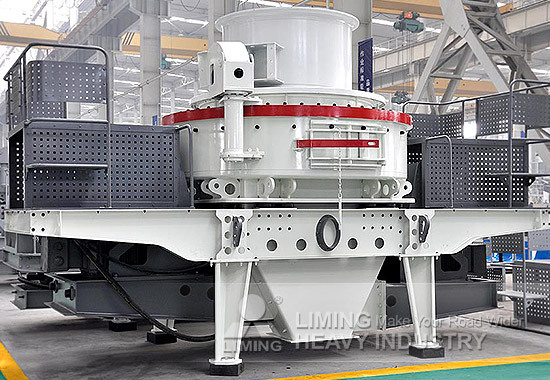 For cobble, The 5X Centrifugal Impact Crusher use special materials, its wear resistance and High yield get a lot of customer satisfaction and provide customers with a lot of surprises. If you have any problem, please click on the online customer service to consult! <<Next：Is there the machine which can process stone into sand?